Kenzo varsity-style jacket with logo patchwork. For in-store inquiries, use sku #2250919. 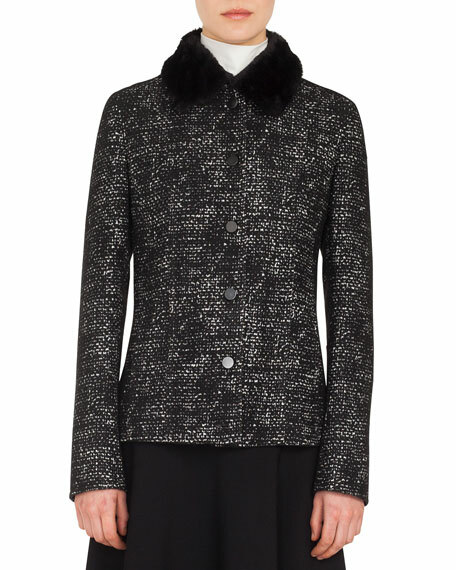 Akris punto bicolor tweed jacket. Detachable faux-fur (polyester) collar. Button front. Long sleeves; notched cuffs. Side slash pockets. Semi-fitted. Viscose/acrylic/cotton/nylon/wool. Lining, viscose. Imported of Italian materials. 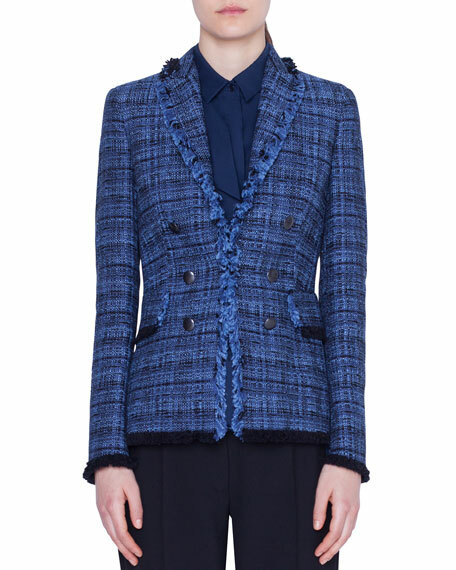 Akris punto blazer jacket in tweed with fringe trim. Notched lapel collar; decorative button front. Long sleeves; split cuffs. Hip flap pockets. Tailored fit. Straight hem. Cotton/nylon/viscose/wool. Cupro lining. Imported. 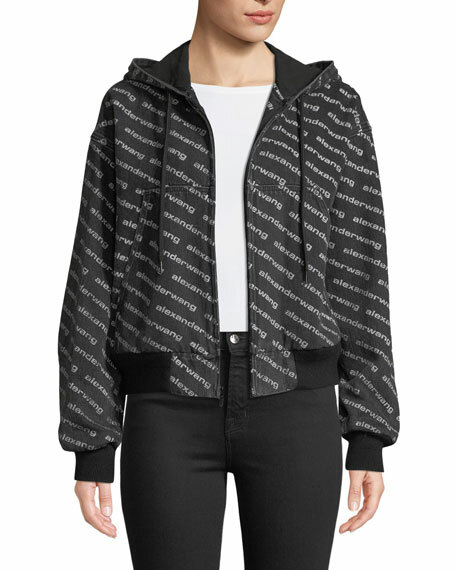 T by Alexander Wang bomber jacket with allover logo print. Hooded neckline with drawstring. Long sleeves; drop shoulders. Knit rib trim at cuffs and hem. Oversized split kangaroo pockets. 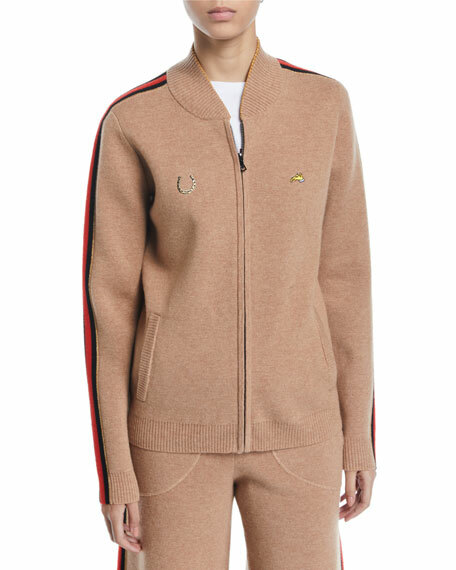 Full zip front. Body: cotton. Lining: polyester/cotton. Trim: wool/nylon/spandex. Imported.